It's turtle nesting season — keep light out of sight! Have questions or need assistance with adjusting the lighting on your property? 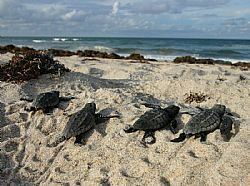 Contact the Sea Turtle Protection Program at 941-861-5000 or visit scgov.net and enter the keyword "wildlife."